Our prison law team support prisoners and their loved ones through the parole process ensuring the rights of prisoners while in custody. We understand that the breakdown of a relationship or relations within a family can cause a huge amount of pain and stress for those concerned. Most parents would agree that the happiness and well being of their child/children is the most important thing in their lives. The Court of Protection safeguards the finances and welfare of those who do not have the mental capacity to do so themselves. 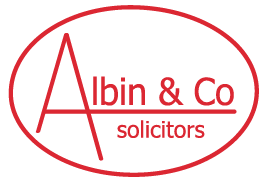 We serve clients both local to our four offices and from further afield, specialising in cases concerned with Criminal Law, Mental Health Law and Family Law. Our team of experienced lawyers are able to provide advice and representation in police stations, the Magistrates’ and Crown Courts as well as Mental Health Tribunals. We have established long-standing associations with several Chambers in London, and are able to draw upon a large pool of barristers, selecting those that are most appropriate for the client and the case. We recognise that clients require not only excellent legal advice and representation, but for their anxieties and concerns regarding their case to be addressed. Our team is committed to building relationships with our clients based on understanding and respect, and we are happy to provide more detailed explanation, reassurance or a sympathetic ear when necessary, or to recommend referral to external agencies for more specialised help.